Everyone knows that there are a lot of terrible jokes out there. 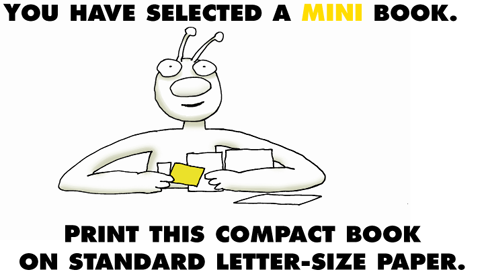 But until now no one has ever had the courage to put them all into one book. Get ready to weep, howl, snorfle, and fall down crying until your hair falls out. Read these ghastly jokes to yourself, or just make all of your friends shake, quiver and feel sick. 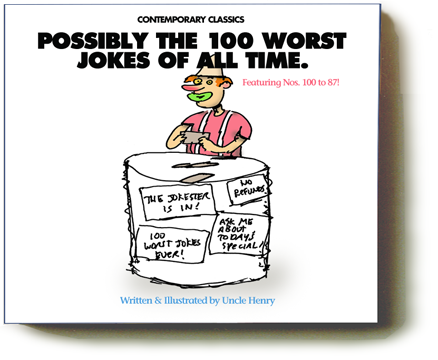 Here come the first fourteen of Uncle Henry’s 100 worst jokes of all time.